Muslim votes could determine the outcome in up to a quarter of electoral seats as their numbers have increased substantially since the 2010 general election, according to the right-wing Henry Jackson Society (HJS). HJS argue in a new study, ‘Religious Diversity in British Parliamentary Constituencies’, the Muslim vote could also dictate who wins in around half of the UK’s 193 marginal seats. The study claims to be the first to provide a religious breakdown of electoral constituencies and carefully avoids claiming that British Muslims block vote en masse. 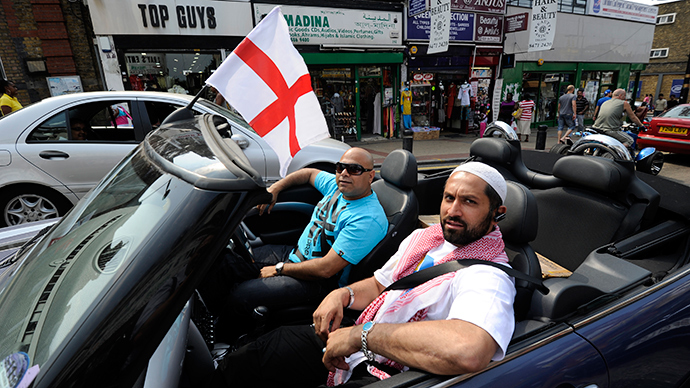 READ MORE: #PeopleNOTpolls: Who will British Muslims be voting for in #GE2015? Writing on the HJS website, the author of the report Dr Alan Mendoza said: “Though members of minority religions in a particular constituency will not necessarily vote in a uniform manner, there are some scenarios in which the presence of a religious minority has significant potential influence on the outcome, particularly within marginal seats. The study also found that far from being an endangered species, Christians are still overwhelmingly dominant in the UK. “Great Britain remains a Christian-majority country – approximately six in every 10 residents identifies as Christian. Which party British Muslims will throw their lot in with remains unclear, given a backdrop of foreign wars, UK support for Israel and repressive Gulf States, and the trimming of civil liberties in the name of national security. Earlier this month, a noted Muslim human rights campaigner blasted the state of British electoral politics. Cerie Bullivant of the advocacy group Cage said: “My personal belief is you are voting for the wolf that is going to eat you and that is a sad state of affairs. “I wish it wasn’t like that and there were people who were standing for civil liberty and that they could protect the rights of everybody,” he told the Ilford Recorder. Added to this view is a broad shift in opinion among young Muslims away from the parties to which they had traditionally been loyal. Assed Baig, 34, is a journalist who frequently covers issues affecting the Muslim community in his home city of Birmingham. He told RT the impact of the Iraq War on Muslims’ perceptions of Labour was “massive,” alienating thousands of potential supporters. “The elders in the community generally stayed loyal, meaning the party members. But it also meant loads just didn't vote,” said Baig. “Basically if you're an inner city Muslim, slugging it out, who appeals to you? No one,” he added.